This ambitious exhibition will celebrate the art of Melanesia, Micronesia and Polynesia, encompassing the vast Pacific region from New Guinea to Easter Island, Hawaii to New Zealand. Oceania will bring together around 200 exceptional works from public and private collections worldwide, and will span over 500 years. It will be a rare opportunity to be immersed in the art and culture of an area that represents nearly a third of the world’s surface, a region rich in history, ritual and ceremony. The exhibition marks the 250th anniversary of the Royal Academy, founded in 1768, the same year Captain James Cook set sail on his first expedition to the Pacific on the Endeavour. It has been nearly 40 years since the last major exhibition, held at the National Gallery of Art, Washington DC, presented an overview of the entire region of Oceania. Over this time, Oceanic art has been re-imagined by curators, art historians, anthropologists and artists creating new dialogues and deepening awareness both of past history and present-day issues. Oceania will offer the chance to view its art and culture, including seminal works produced by contemporary artists exploring history, identity and climate change. Highlights of the exhibition will include the 14th century wooden Kaitaia carving, (Auckland War Memorial Museum, Auckland) which was excavated in 1920. This is one of the oldest known objects to have been found in New Zealand. Objects gifted or collected during the 18th century voyages include: two Māori hoe, canoe paddles, (Museum of Archaeology and Anthropology, Cambridge) collected on 12 October 1769, during the first voyage of Captain James Cook, just three days after the Endeavour's crew encountered Māori for the first time; drawings made on the first Cook voyage, by the Tahitian priest and expert navigator Tupaia (c.1725-1770) who, after joining the Endeavour in Tahiti, took to the unfamiliar medium of ink and paper to produce fascinating depictions of his culture including Dancing girl and Chief mourner, June-August 1769 (British Library, London); an 18th century Heva tupapau, known as 'the Costume of the Chief Mourner', from Tahiti, Society Islands (Royal Albert Memorial Museum and Art Gallery, Exeter). 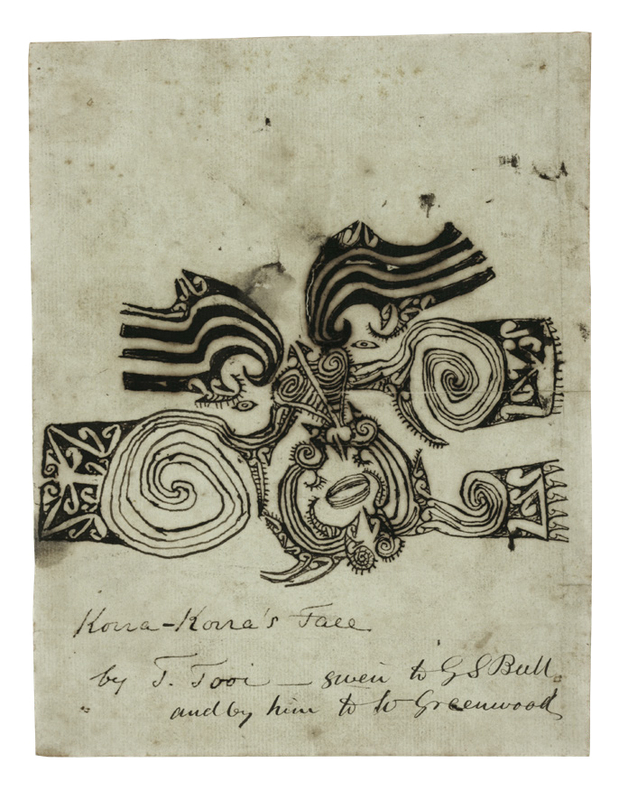 This is one of only six known examples still in existence and was obtained in Tahiti in 1791 by Francis Godolphin Bond, first lieutenant on the Providence, the ship commanded by William Bligh; and a late 18th century Feather god image (akua hulu manu) from the Hawaiian Islands (British Museum), likely to have been collected on Cook’s third voyage. Further highlights will include: a rare Fijian late 18th or early 19th century double headed whale ivory hook, (Museum of Archaeology and Anthropology, University of Cambridge) just one of three known representing these sacred and powerful doubled female deities; Tuai’s Drawing of Korokoro’s moko (face tattoo), 1818 (Auckland Libraries, Auckland). Tuai travelled to Britain in 1818 and this drawing, which represents the facial tattoo of his elder brother, Korokoro, was most likely made to illustrate Maori customs and culture; a 19th century Solomon Islands Nguzunguzu, a prow ornament for a war canoe (Museum der Kulturen, Basel) featuring a pigeon, an expression of navigational virtuosity; Tene Waitere’s, Ta Moko panel, 1896-99, (Museum of New Zealand Te Papa Tongarewa, Wellington) a sculptural illustration of male and female tattoos. Tene Waitere (1854-1931) was arguably the most important Maori sculptor of the late 19th and early 20th centuries; and an extraordinary 19th century Ceremonial Feast Bowl from the Solomon Islands (British Museum). Measuring nearly 7 metres in length, this bowl has never been exhibited before. The exhibition will be a revelation of modernity as well as tradition in Oceania including contemporary art that speaks of the salience of the past as well as the challenges of the present. 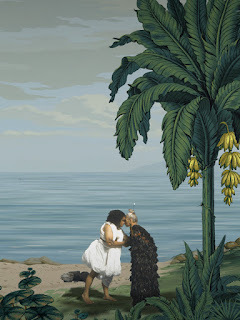 Contemporary work in the exhibition will include the vast panoramic video In Pursuit of Venus [infected], 2015-17, by the New Zealand multi-media artist, Lisa Reihana (Auckland Art Gallery Toi o Tāmaki) and John Pule’s, Kehe tau hauaga foou (To all new arrivals), 2007 (Auckland Art Gallery Toi o Tāmaki). Oceania continues the RA’s tradition of hosting outstanding exhibitions exploring world cultures, which have included Africa: The Art of a Continent (1995), Aztecs (2002), Turks: A Journey of a Thousand Years (2005), China: The Three Emperors, 1662-1795 (2005) Byzantium 330-1453 (2008) and Bronze (2012). Artist Lisa Reihana is representing New Zealand at the 2017 Venice Biennale. Here, she is joined by NZ at Venice curator Rhana Devenport to discuss her exhibition’s centrepiece, the vast panoramic video ‘in Pursuit of Venus [infected]’, 2015–17, which will be travelling to the Royal Academy for ‘Oceania’. Video courtesy of New Zealand at Venice. 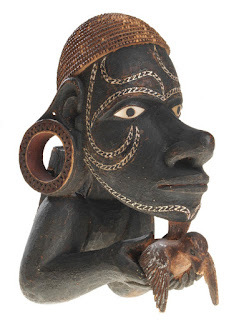 Oceania has been organised by the Royal Academy of Arts, London and Musée du Quai Branly – Jacques Chirac, Paris, with the participation of the Museum of Archaeology and Anthropology, Cambridge. The exhibition has been curated by Professor Nicholas Thomas FBA, Director of the Museum of Archaeology and Anthropology and Fellow of Trinity College, University of Cambridge and Dr Peter Brunt, Senior Lecturer at Victoria University of Wellington in conjunction with Dr Adrian Locke, Senior Curator, Royal Academy of Arts. Oceania is open to public: Saturday 29 September – Monday 10 December 2018, Tickets cost £20.00 full price (£18 without Gift Aid donation); concessions available; children under 16 and Friends of the RA go free. FREE admission to the Oceania exhibition for all New Zealand, Kingdom of Tonga and Papua New Guinea passport holders. Find out more.